Before. My bog standard 2002 US Fender Highway One Stratocaster. 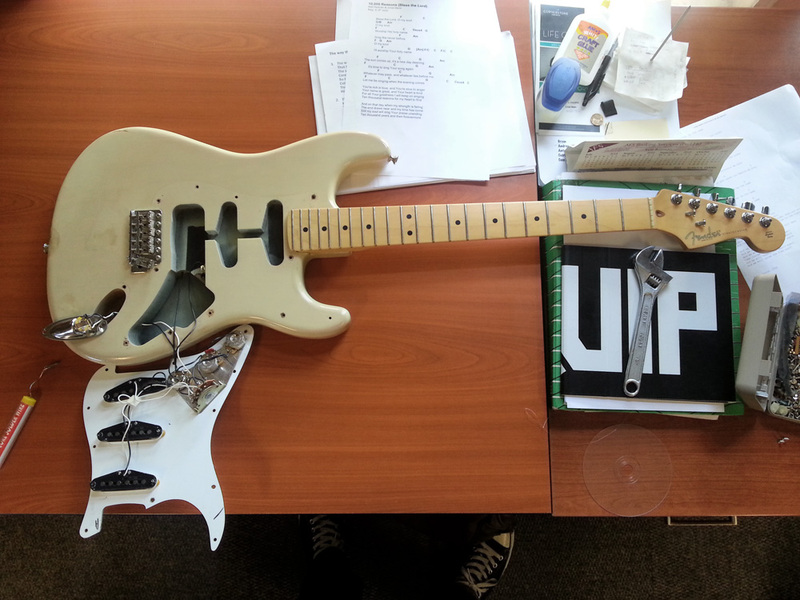 White pickguard, pickup covers and knobs. 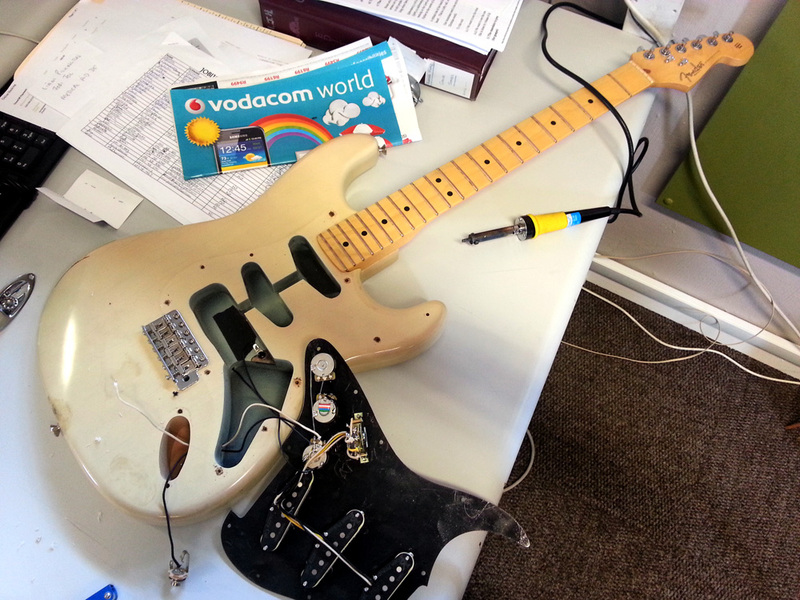 Removing the old pickup assembly and trying to remember which wires are attached to what. Soldering in the new pickup assembly with a help from the previous photo and the diagrams supplied on Klein’s website, then earthing to the bridge block. All done. No fires were ignited in the process. Looking nice with the Parchment pickguard and vintage cream pickup covers, knobs and switch tip. 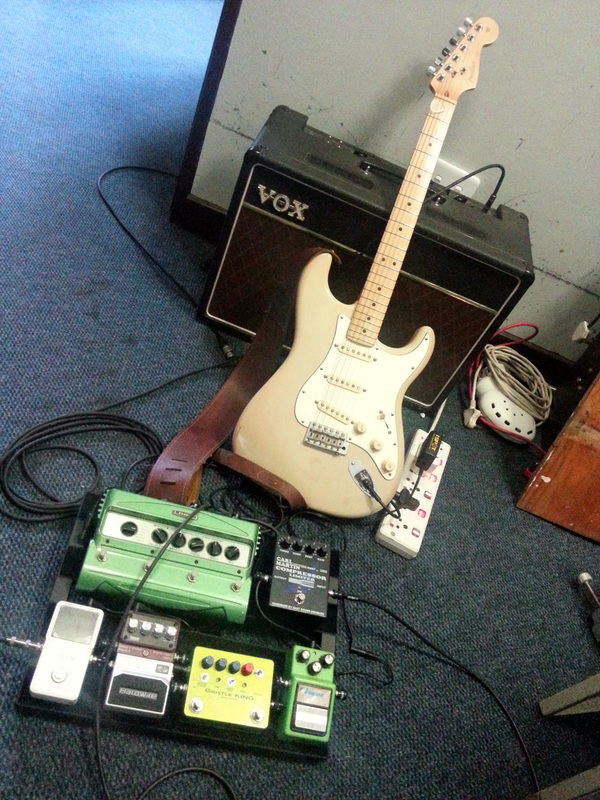 I also bumped the string gauge up from .009s to .011s, sorted out the set up and intonation. Testing out the new set up. So it’s all done and it sounds really great. 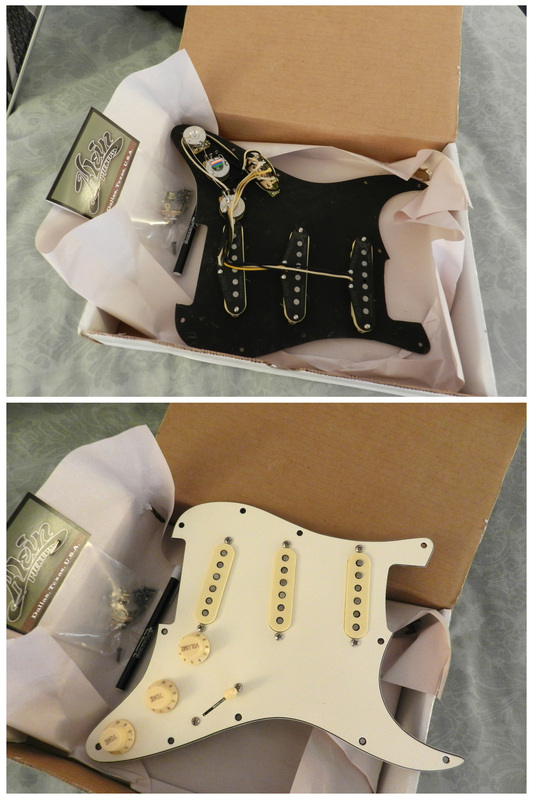 The pickups and electrics were pre-loaded on the pickguard so the installation process was really easy, even for me. I could probably count the number of wires I’ve soldered in my life on one hand. 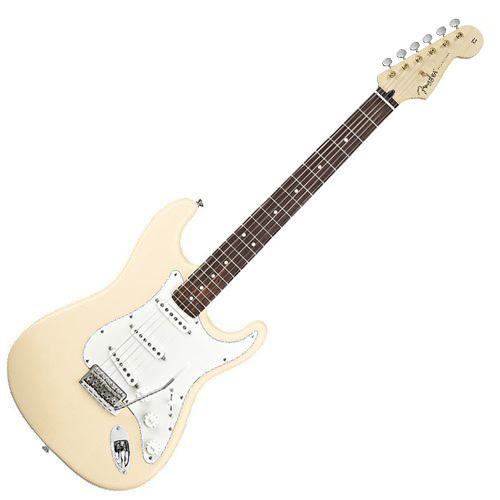 The guitar is definitely sounding a whole lot more like the Strat I’ve had in my head and as a bonus, the more vintage/aged style of the parchment/off-white pickguard with the vintage cream pickup covers and knobs seem to compliment the wear and tear that the satin finish on the Highway One’s body has picked up over the last ten years. Happy days. As soon as I get around to it I’ll post some before and after video clips with sound. The pickup assembly arrived in the mail today. Hand scatter-wound pickups, vintage spec capacitors and 250K pots from Klein Pickups in Denton TX. I love the sound of the demo recordings I’ve heard of these pickups. For the last couple of years I’ve had this sound in my head of how I think a Stratocaster should sound and those clips are the closest I’ve found to that sound. 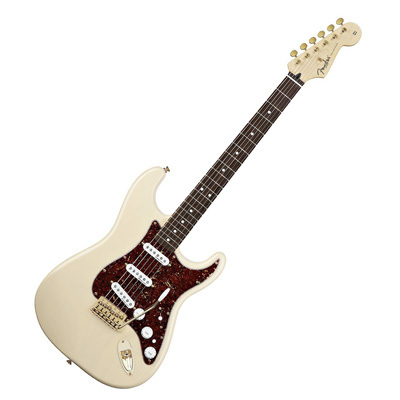 I decided to stay with the blonde strat aesthetic but with a slightly different vibe to what I have now. 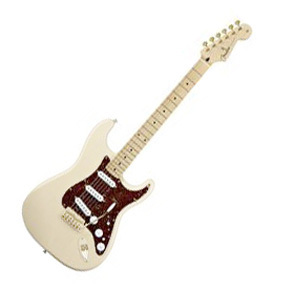 So instead of the stark white guard and covers that are on the Strat at the moment, I went with with a parchment/off-white pickguard with vintage cream pickup covers, knobs and switch tip. I think it looks pretty cool on it’s own but I’ll have to see what they look like on the actual guitar. 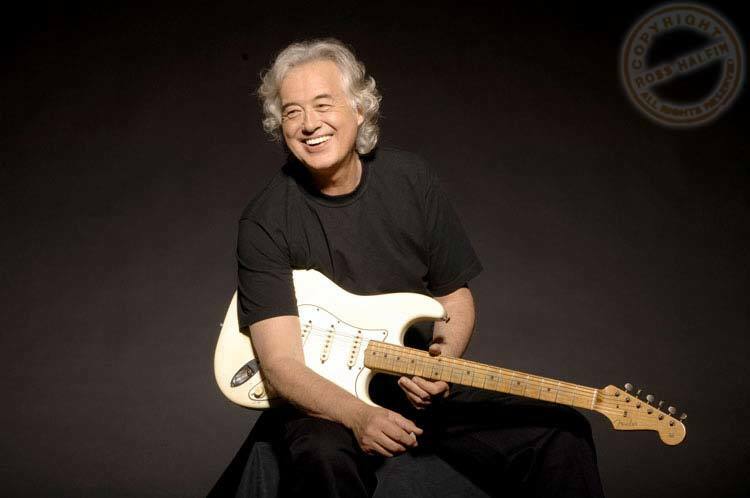 If it’s anything like this, one of Jimmy’s ‘other’ guitars, it can’t be a bad thing. 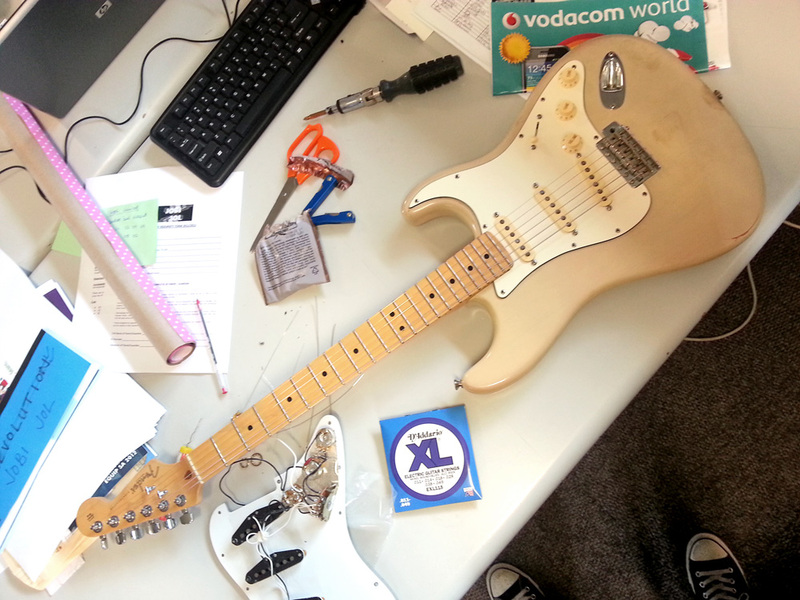 I’m going to be doing a bit of strat-rodding and while I’m at it I might as well change the look a bit. You know, change is as good as a holiday. Or a haircut can change the look of your face or something like that. The classic blonde. 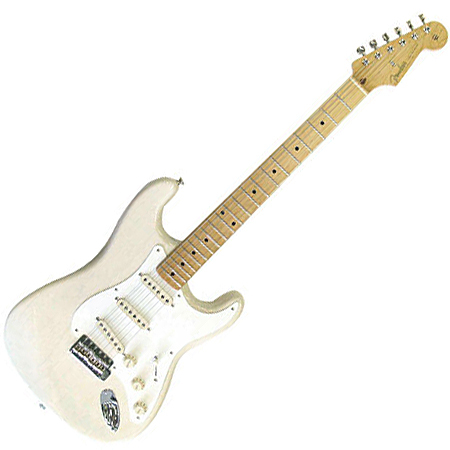 Thin satin acrylic finish, white pickguard, unbound maple neck, vintage headstock, chrome hardware. Okay, so options 3 and 4 involve a new neck as well which is probably outside the scope of this particular project but at least you can see what we can work towards. What do you think? Read part 2 of this post over here.